Black-bellied Plovers do indeed sport jet-black plumage on their bellies, but only during the breeding season in the Arctic. Thus when the birds arrive in Kenya for the winter (October-November) they are mottled gray-brown on the back and pale, almost white on the belly. 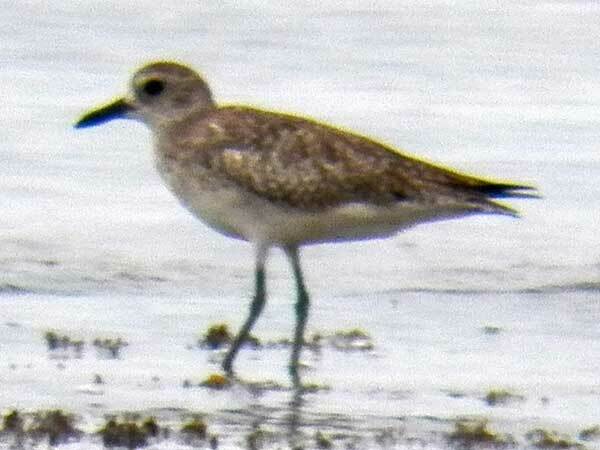 In this case the name Grey Plover certainly makes more sense. Plovers catch invertebrates on the sand and in the surf using their short, sturdy bill. They nest on the Arctic tundra and migrate south to sub-tropical and tropical ocean shore areas of the Americas, Africa, Asia and Australia. Uncommonly, they are found on Rift Valley lakes.